This is a trend indicator. Its main purpose it to quickly identify the price trend and to accurately follow it until it ends. The optimal parameters of the indicator allow working in different modes: scalping, medium-term trend and long-term trend. 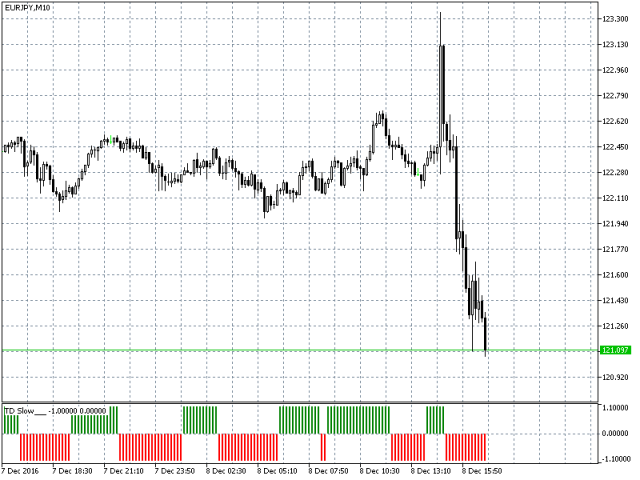 Scalping mode (short-term trend) can be used for trading on M1-M15 timeframes. 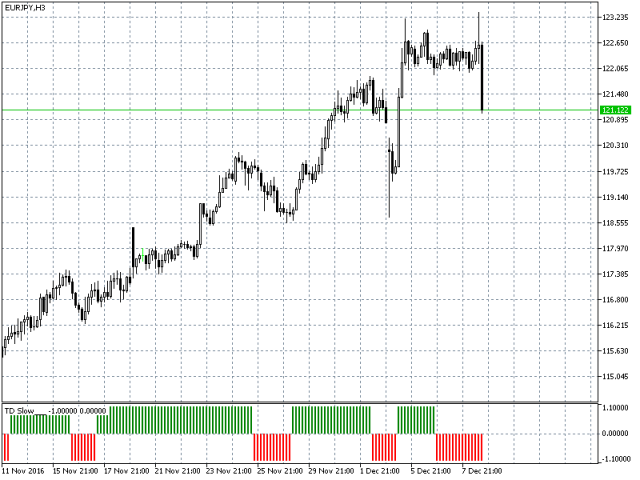 Medium-term mode (intraday trend) can be used for trading on M20-H4 timeframes. 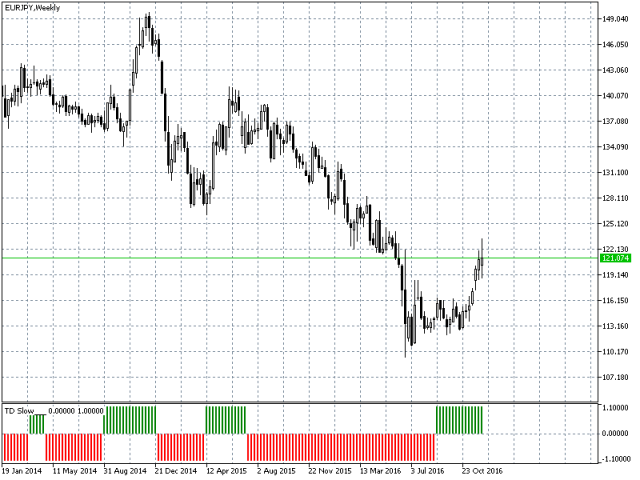 Long-term trend mode can be used for trading on H6-MN1 timeframes. 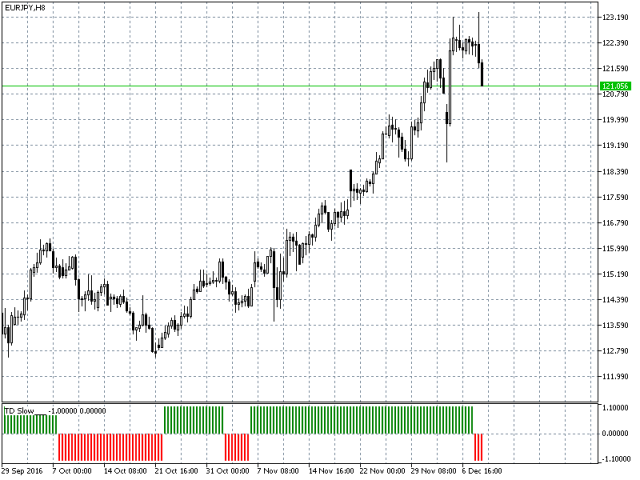 The indicator does not overload the chart - the narrow indicator window allows you to upload a few other indicators without loss of information content. Current direction of trend is characterized by a color and location of the indicator strips: above 0 - uptrend, below 0 - down trend. 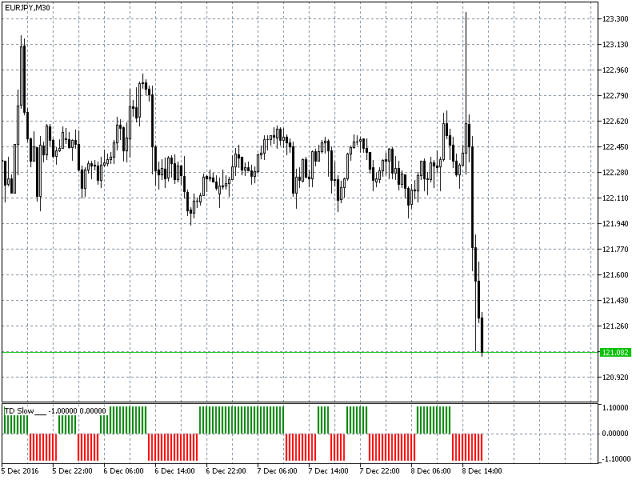 This indicator is the result of more than five years' programming experience and practical trading on the forex market. The idea forming the basis of this indicator has proved its effectiveness in practice.